We've been getting some spectacular clouds and sunsets lately. I headed to these castle ruins, which are about 10 minutes from my work, to see what I could get from here. Initially I was very dissappointed because when you look at the direction of the sunset, there are two very large utility towers and antenna towers. As I explored different angles I finally found one that didn't have too much civilization encroachment. While we have these wonderful sunsets, I'm trying to get out into as many different places I can while they last. You'll probably see quite of few of these over the next weeks. Occasionaly I'll go back to an older image, but I should have a good number to choose from. This photo was taken at the Shuri Castle here in Okinawa. 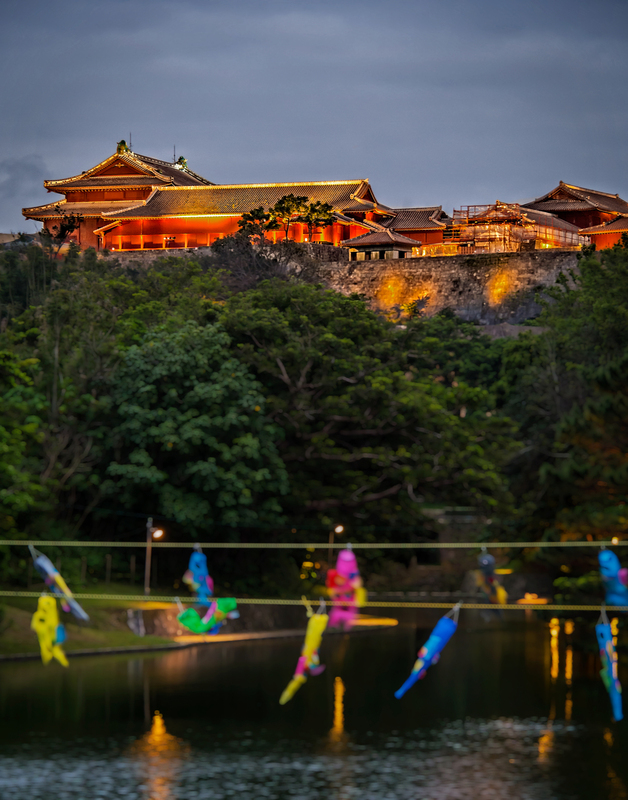 The Shuri Castle is the location where the Ryukyu King ruled. There are a lot of castle ruins here in Okinawa, but this is the only one that is still built. The current structures were rebuilt after WW2 to reflect the way it looked in its heyday. I was interested in capturing the roof of the structure outside the window.